I am both honored and humbled to be taking part in my first End of Watch ride, in honor of you, and officer Tate. This tragedy hit a bit close to home for me, which has left me both heartbroken, and for personal reasons, thankful. Your families will always be in my thoughts and prayers. You and officer Tate will never be forgotten. Rest in perpetual peace. You and your partner are heros, and will live in the hearts of your loved ones. God bless your family and may they gain strength during these hard times. Thank you Deen for your dedicated Service, and the ultimate sacrifice for our community. You will be missed. We will see you again, deen. You are still with us at work every night! Officer Deen your sacrifice will never be forgotten! Thank you for your dedicated service to The City of Hattiesburg and the citizens you were sworn to protect! Continue to rest in peace my fellow LE Brother! Respect, Honor, Remember. Your service and sacrifice will not be forgotten. Thoughts are with your family as your first anniversary of End of Watch nears and you will be honored during National Police Week. and other officers in our nation in May, were crushing. You and your loved ones are in our hearts. Like Officer Tate, I send my sincere condolences to Officer Deen's family, friends, and colleagues. I pray that you find comfort in God's promise for those that have fallen asleep in death taken at Revelation 21:3,4 "he will wipe out every tear from their eyes, and death will be no more, neither will mourning nor outcry nor pain be anymore. The former things have passed away." Thank you sir for your service and dedication to LE. God bless you for your loyalty and ultimate and supreme sacrifice. We pray for your family, family of blue, and your friends. I'm here if anyone would like to contact me. God Bless you all during this difficult time. You have done your work on earth now your with your Lord and Savior and never will know any troubles again. On behalf of my family, I extend our sincerest condolences on the grievous loss you suffered when Benjamin was killed. To the Deen family, fellow officers, and all who call Benjamin beloved, my heart goes out to all of you and may you find comfort in your loved ones and your strength in your faith. When my son was killed, the entire law enforcement community in our area embraced us in a circle of love and support, and I know you will receive the same support. It makes the unbearable less torturous, and I pray for your solace. I hope that your family knows that a nation mourned for you. This reflection is sent with the utmost respect for the dedicated service Officer Deen gave to his community and the citizens of Mississippi, and for the supreme sacrifice he and his family made on May 9, 2015. Even though the many Law Enforcement Officers from all of our Neighboring Countries around this world have Fallen and Ended their Watch. Their Devoted Spirits have Risen and are now carrying on their destinies up above in Heaven while awaiting to be rejoined in the distant future by the ones they love. Our thoughts and prayers are with the family, friends and co workers of this brave officer. Rest in peace. I salute you, Officer Deen and Tate. I always hear people speaking in anger over our police, yet I hardly hear recognition for their losses. Thank you very much for your service. I Rode with you , and worked with you Ill never forget what you taught me. you taught me to look at eyes hands and shoulders. You taught me to treat everyone as human beings , but to always be prepared to defend yourself and come home. I still cant believe it. Ill always remember you, ill never forget. Brother Deen; We will cover the watch in your absence. Please watch over us, fellow sheepdog. You are truly missed on the true blue line, and we are the worse for losing you and your partner, brother Tate. To Mrs. Deen and your children: No words could possible help ease the burden of such a loss. Remember your husband and father as he lived: a hero, who devoted his life to the service of others. You are gone, but you are most definitely not forgotten. Your name was not just spread throughout the State of Mississippi, but the whole world. Your sacrifice will never be forgotten. May God bless your family in this time. Rest in everlasting peace, my brother in blue. 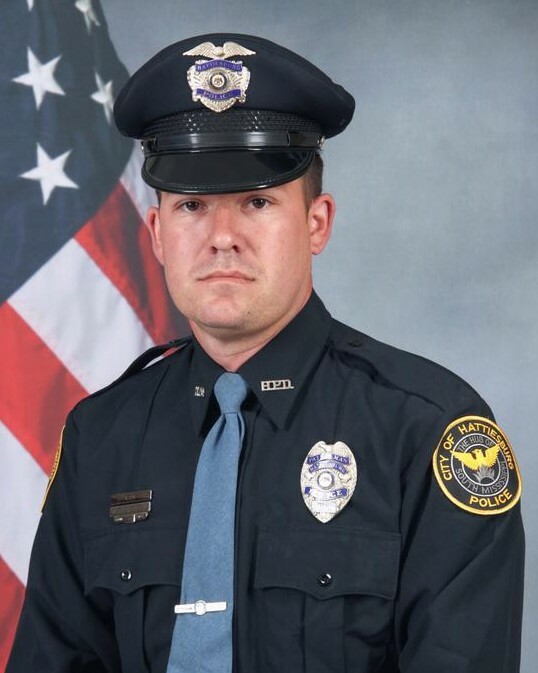 The law enforcement community is deeply saddened by the untimely passing of Police Officer Benjamin Deen. Our deepest sympathies and prayers go to the family, friends, and coworkers of Officer Deen. We thank him for his service, may his soul rest in peace. I am deeply saddened by this tragedy but have prayed and will continue to pray and support Officer Deen's family as well pray , respect and stand up for our law enforcement officers and their families across this great nation in which we live. May God Bless our law officials and military personnel. Rest in Peace Benjamin Officer Deen. Condolences and prayers to his family, friends and co-workers. Gone but never forgotten.